The food industry is one of the largest markets in the word. The very way we buy, store and showcase food has evolved throughout time. In this article, we look at how cartons have genuinely changed the way that we think of food, from farm to table, and the carton is responsible for the vast majority of the food that you buy and consume. The packaging used in food distribution is the largest application for folding cartons within the industry. Almost half of all cartons found in the food industry are used to transport bulk cartons or raw produce to stores around the continent. Whether it is produce or cereal, reliable and functional cartons have ensured that food can get to market and is responsible for the accessibility of food across Canada and the US. Netpak has been one of the largest producers of these cartons, specializing in Corrugated Micro-flute as a phenomenal alternative to standard corrugated carton. Shipping and storage methods have long been a focus for food industry RnD departments. As for the results, cardboard is still one of the best storage solutions used in the food industry. 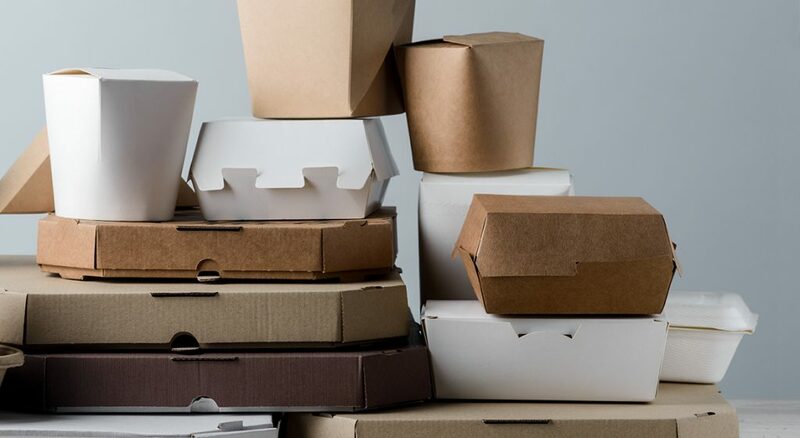 In 2016, a study in Spain found that cardboard trays within cartons ensure that food will store for 48 to 72 hours longer than plastic or no tray at all. This is why Netpak has worked with our food industry clients, not only on the packaging of food, but also with our logistics and shipping department, to ensure their products arrive to their intended destination on time, keeping their speed-to-market needs as a priority. This is a testament to our team of experts who share a common passion for innovative folding carton solutions but who also make your band and business objectives our focus. Shoppers are emotional people and the very packaging that food is contained in can bring either success or failure for a particular brand. Consider this: a study in 2015 found that the more writing coffee and baby food contained on the label led to a participant perceiving the product as healthier. These kinds of simple trends can help companies produce carton packing solutions that can generate sales across their entire product line, instead of just a few key products. Any custom folding carton solution produced by Netpak holds multiple purposes. Its quality and structure will ensure that your product gets to its destination and make it to the consumer’s home in perfect condition. Folding cartons ensure that your product will be able to be stocked on shelves across the country. A solid and innovative carton will also help your brand get noticed and increase brand awareness to ensure repeat clients. The simple folding carton has genuinely revolutionised the food industry. The team at Netpak can help your company design and produce your very own custom cartons. Let’s chat and see how we can ensure your brand and carton is ready for its big debut.